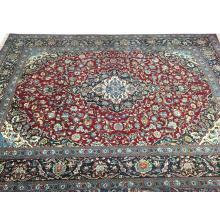 290 x 401 Beautiful Blue, Red Kashan Persian Rug. 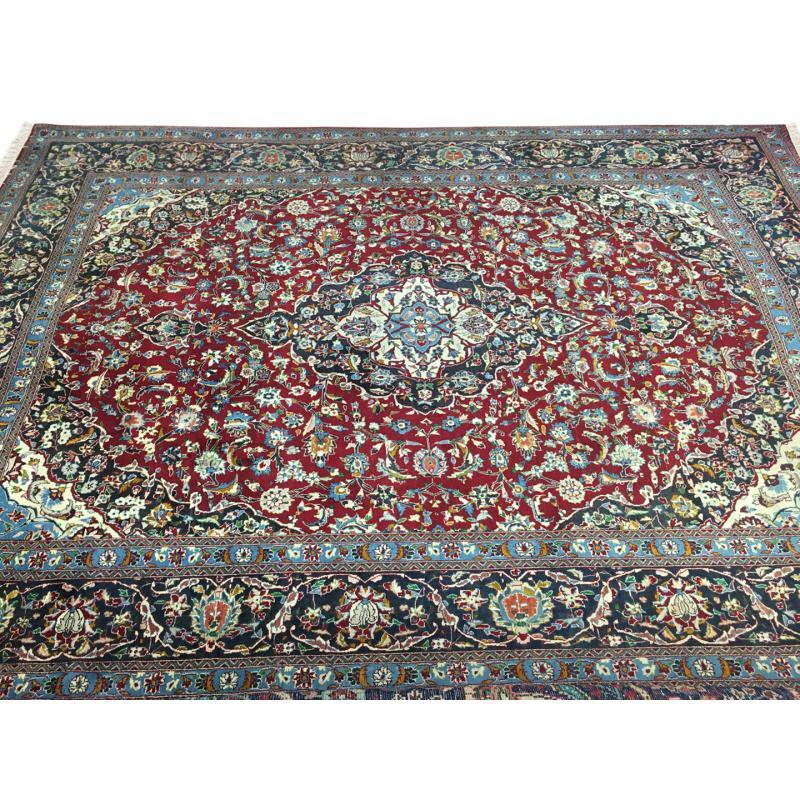 Enhance the decor of your home with this red, blue Kashan, hand made and hand knotted wool Persian rug. Measuring 9'6" x 13'2" ft. and quality crafted with the superior durability and irresistible softness, this beautiful Medallion design rug can fit anywhere in your home adding more essence and life to it.